Jeffrey Herrmann's practice is concentrated in the field of complex commercial litigation. In this area, he has successfully represented clients in both individual and class actions in such diverse areas as securities law, consumer fraud, bankruptcy, construction law and antitrust matters. Mr. Herrmann has litigated numerous matters, which have been the subject of published opinions establishing important precedent both in New Jersey and nationally in the areas of securities fraud, consumer fraud and bankruptcy. Mr. Herrmann has been recognized for several years by SuperLawyers in the following categories: Securities Litigation, Business Litigation, Bankruptcy and Creditor/Debtor Rights. In addition, he regularly represents clients before FINRA, the Financial Industry Regulatory Authority and the American Arbitration Association. Mr. Herrmann has served as co-chair of the New Jersey Bar Association Securities Litigation Committee and frequently lectures for the N.J. Institute for Continuing Legal Education and the New Jersey State Bar Association. In addition, he has been actively involved in charitable activities for many years. Mr. Herrmann started as a law clerk in 1975 and joined Cohn Lifland Pearlman Herrmann & Knopf LLP as an associate the following year. He was elected as a partner of the firm in 1981 and currently serves as the firm's Managing Partner. Mr. Herrmann has been included in The Best Lawyers in America in the area of Commercial Litigation. He was included in (201) Magazine's list of Bergen's "Top Lawyers" in 2014, 2015, 2016, 2017 and 2018, in Bankruptcy and Commercial Litigation. 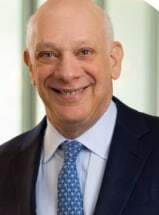 He has also been included in the list of New Jersey Super Lawyers from 2005-2019 in Securities Litigation, Class Action/Mass Torts and Bankruptcy. Mr. Herrmann is an adjunct professor in the English Department of Kean University, where he teaches courses on Shakespeare.